This is the location where 12 Japanese ships were sunk during World War II. Not only do people come here to see these ships from a time past, but the ships also are a great refuge for the wildlife that has chosen to make them a home. You will see some truly spectacular views here as you swim underwear through and around the ships. These naval vessels have also made for a perfect perch to perform rock diving (ship diving?). People come from all over the world as some of the vessels offer jump distances that more than 40 feet above the water. There are some great natural areas to see around Coron. The CORON sign is reminiscent of the famous Hollywood sign and overlooks the town from the largest hill in the area. There are spectacular mangroves in the Twin Lagoon is a beautiful place to spend the day. Barracuda Lake offers some of the best snorkeling imaginable, especially when you view the underwater rock formations. Banol is an amazing area of flower trees that is set against the backdrop of a rocky island. Beach 69 is a great place to swim but you should be aware of jellyfish. There were many island hopping tours that you can join. These visit all of the islands immediately around the area, but you can also join a group that’s just showing you around the waters and the different things to see. For those who were going to take a tour to a specific island for the day lunch is usually offered as part of that trip. There are many diving centers where you can go to learn how to take up the sport. They will not only teach you the techniques and have equipment available for you, but they will also take you to the best places to go diving. There were many great restaurants to eat at in this area, especially those offering seafood. La Sirenetta is a great place to go to that along the waterfront. It can be a bit expensive but the view alone makes it well worthwhile. KokosNuss Resort has great Palawan-style barbecue and it’s all you can eat, so it will be well worth the price you pay. As with all of the main tourist locations in the Palawan Islands there were great accommodations available. Some are simply hostels or guesthouses that are perfect for a person whose backpacking. There were also resorts and lodges for those that are looking for a more five-star experience. Located a 5-minute walk from Coron Town, Apartelle de Gabrielle offers karaoke facilities and free Wi-Fi in public areas. Its basic rooms come fitted with a flat-screen TV offering cable channels. Apartelle de Gabrielle is a 30-minute drive from Busuanga Airport. Transfer service is available upon request. Air-conditioned rooms offer attached bathrooms with hot shower facilities and toiletries. Some rooms have a balcony overlooking Coron Island. Ticketing, fax and photocopying services are available. Guests can also arrange for island tours and beach activities at the front desk. Laundry services are offered in the hotel. A selection of local and Chinese specialities are served in the restaurant. Room service is also available. Featuring free WiFi and a spa centre, Asia Grand View Hotel offers accommodation in Coron. Guests can enjoy the on-site bar. Private parking is available on site. The rooms are equipped with a TV with satellite channels, blu-ray player and DVD player. Certain rooms include a seating area where you can relax. A terrace or balcony are featured in certain rooms. All rooms include a private bathroom. You can play table tennis, billiards and darts at this hotel, and the area is popular for snorkeling. The hotel also offers bike hire. Balinsasayaw Resort offers cosy beach-side cottages on Coron, complete with a private beach and free barbecue pits. Providing free Wi-Fi in public areas, it also has water sports equipment, relaxing massage and karaoke facilities. Made from natural materials, the cottages come with air conditioning. Views of the surrounding greenery can be enjoyed from the balcony. Private bathrooms have shower facilities. Balinsasayaw Resort is a 10-minute boat ride from Coron Town. It is a 15-minute boat ride from Kayangan and Barracuda Lakes. The trek sites of Mt. Tapyas and Mt. Dalara are within a 10-minute drive away. Guests can go fishing, snorkelling or canoeing in the sea. The resort also provides a souvenir shop and packed lunches. Laundry services are available. Situated in a peaceful fishing village, this charming resort is nestled on a tropical hillside. Featuring an outdoor pool and a Jacuzzi, it also provides free WiFi access in its public areas. The air-conditioned rooms open out to the pool and garden. They feature wooden flooring, cable TV and a minibar. Private bathrooms come with hot shower facilities and toiletries. Leisurely afternoons can be spent on an island hopping trip arranged by the tour desk. Staff can provide shuttle and laundry services. Guests can enjoy Filipino and International cuisine in the casual open-air setting of Pavilion Restaurant or in rooms. Daily breakfast and packed lunches are available. Featuring panoramic sea views, Coron Gateway Hotel & Suites offers peaceful and modern accommodation with free WiFi access in its public areas. It houses a restaurant and provides daily housekeeping service. The property is just 240 m from Calamianes Island and conveniently 750 m from Coron Airport. The famous Mt Tapyas is within 2 km away, while Siete Picados is accessible with a 4.4 km drive. Fitted with a balcony, air-conditioned suites include a flat-screen cable TV, in-room safe, a minibar and electric kettle. Suites come with large en suite bathroom offering a bathtub, separate shower, hairdryer and free toiletries. At Coron Gateway Hotel & Suites, guests can approach the friendly staff for assistance with laundry, ironing and concierge services. Massage and snorkelling activities can also be arranged upon request. The in-house restaurant serves a tasty selection of international dishes for guests to enjoy. Meals can also be provided in the comfort of guests’ suites. Coron Hilltop View Resort is located in Busuanga, a 2-hour boat ride from Banana and Malcapuya Islands. It offers an outdoor pool and free Wi-Fi in public areas. Rooms at Coron Hilltop View feature air conditioning and views of Calamianes Islands. Each is equipped with a cable TV and minibar. Private bathrooms come with hot water showers. Guests can arrange island tours at the tour desk or spend an afternoon exploring the forest trek. Hilltop Coron View Resort also provides free parking and a business centre. Coron’s restaurant serves a wide variety of Local Filipino and Chinese specialities. Coron Hilltop is a 30-minute drive from Busuanga Airport. From there, it is a one-hour flight to Manila. 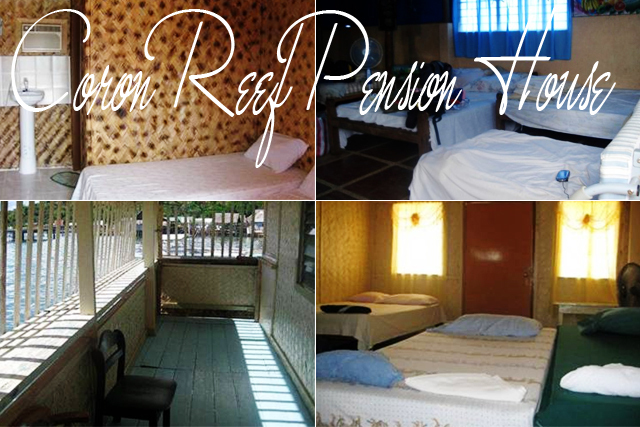 Located in Coron Town, Coron Reef Pension House offers sea-side accommodation and free barbecue facilities. A 10-minute walk from the scenic Mt. Tapyas Trail, it has an outdoor pool and on-site water sports facilities. Simply furnished, the air-conditioned rooms are made from natural materials. All come with a private bathroom and shower. Some rooms enjoy views of Coron Bay. Coron Reef Pension House is a 30-minute drive from Busuanga Airport and 5 km from Maquinit Spring. It is a 15-minute boat ride from Siete Picados and Baracuda Lake. Free parking is available. Horse riding, diving and hiking are some of the activities guests can look forward to. Karaoke facilities and relaxing massage are also available. The on-site restaurant serves a daily breakfast, as well as local dishes. Advance reservations may be required. It can also arrange packed lunches. Boasting 2 large outdoor swimming pools, Coron Westown Resort is just a 3-minute walk from Fernvale Vilage Palawan. Guests can also enjoy free Wi-Fi access at all public areas of the resort. Decorated in warm neutral colours, air-conditioned rooms are fitted with a cable flat-screen TV, a sofa seating area and an electric kettle. The en suite bathroom comes with a shower and free bath amenities. Guests can have a barbeque or a karaoke session or simply lounge by the outdoor gazebos at the poolside. Other facilities include a 24-hour front desk, shuttle services and a tour desk. A wide spread of international and local dishes can be enjoyed at Coron Westown Café. Room service options are available as well. Breakfast can be served in the room upon request. Coron Westown Resort is located a 25-minute drive from Busuanga Airport with shuttle services available at a surcharge. Corto del Mar features archways and an outdoor swimming pool. Decorated in a mix of Mediterranean and Filipino styles, the resort has its own restaurant and has a 24-hour reception. A 5-minute drive from Guadalupe Catholic Church, Corto del Mar is located in the heart of Coron town on the Island of Busuanga. Busuanga Airport is a 45-minute drive away. The air-conditioned rooms are equipped with a flat-screen cable TV and work desk. Private bathroom includes a shower and free toiletries. Guests can take a stroll and relax in the resort’s garden or approach the concierge desk for assistance. Massage services can be arranged at an extra cost. Corto del Mar Restaurant serves both international and local cuisine. Featuring a private beach area for guests, Discovery Island Resort and Dive Center provides spacious rooms with a sea view balcony. 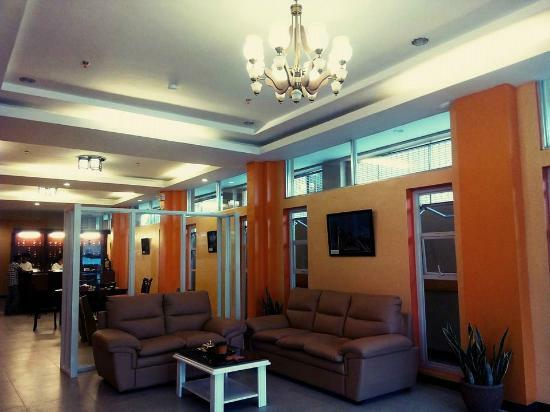 It has its own bar and restaurant and provides free WiFi in the common areas. Located in Coron, Discovery Island Resort is located on a 7-hectare island and it is just a 5-minute boat ride from Coron Town. Fan-cooled or air-conditioned each room is equipped with outdoor furniture. A seating area and private bathroom with shower is included. Sea front gardens, a shared lounge and tour desk are some of the other facilities available. Guests can go island hopping, diving, snorkelling or kayaking during their stay. Motor biking and mountain trekking can be arranged by the resort. Kokosnuss Garden Resort is located in the seaside town of Coron, a 5-minute tricycle ride from the town proper. It offers an international restaurant, massage services and tour bookings. Offering a choice of fan and air conditioning, the wooden rooms are built with traditional materials. Each room has a private bathroom with shower facilities. Kokosnuss Garden Resort is a 30-minute drive from Busuanga Airport. It is a 10-minute walk from the nature trail going up to Mount Tapyas Point. The Maquinit Hot Springs is 25 minutes away by tricycle. 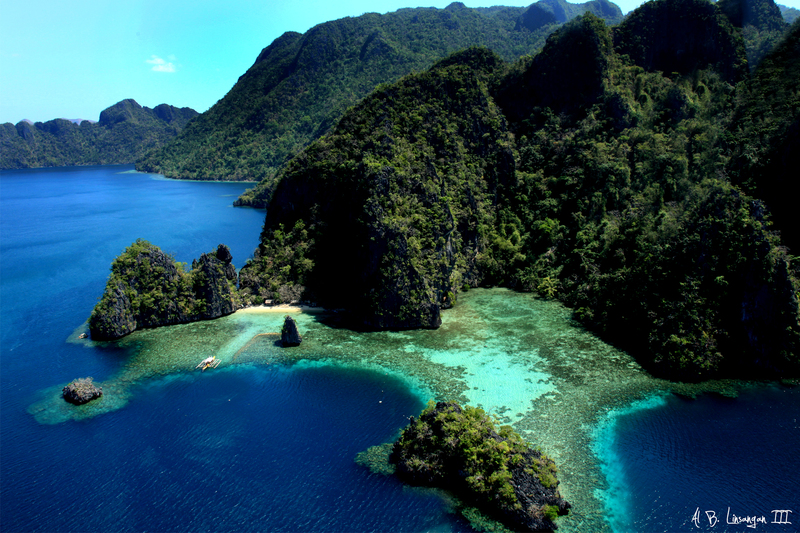 Guests can enjoy snorkelling and island-hopping, which Coron is popular for. Laundry services and currency exchange are available. Free internet is provided in public areas. Local and international dishes are served in the restaurant. Guests can use the on-site barbecue facilities for free. La Natura Resort has an outdoor swimming pool and features rooms with a balcony offering views of the garden. It provides free Wi-Fi access in its public area. The resort is just a 10-minute drive from Coron Town and the nearest public hospital. The famous Maquinit Hot Spring is a 20-minute drive, while Busuanga Airport is a 30-minute drive away. 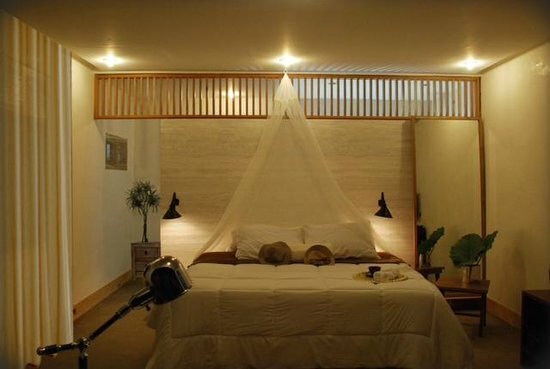 The fan-cooled rooms are furnished with a wardrobe, flat-screen satellite TV and mosquito net. En suite bathrooms offer hot and cold shower facilities, along with free toiletries. At La Natura Resort, guests can rent a motorbike to explore the area, enjoy a barbecue session or request for massage services. Airport transfer, shuttle services, island hopping tours and dives can also be arranged at additional charges. Free private parking is available. The in-house bar and restaurant serves local and traditional Italian cuisines. 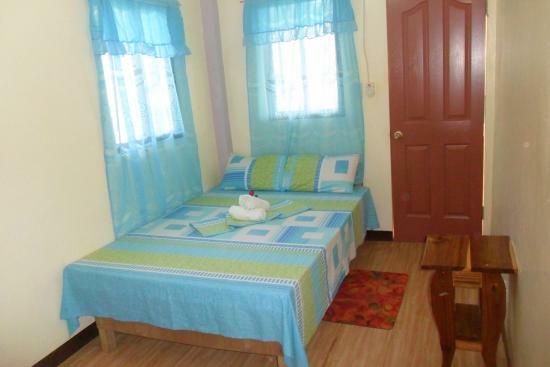 Situated in Coron, Lagrosa Backpackers offers simple and comfy accommodation with free WiFi access in the public areas. It has a common lounge area and provides daily housekeeping service. Offering views of the mountain and greenery, fan-cooled rooms come with tiled flooring, a desk, towels and seating area. Guests have access to a shared toilet and shared bathroom. At Lagrosa Backpackers, services such as laundry and massage can be arranged upon request. Tour activities and airport transfers are also available at extra charges. Luis Bay Travellers Lodge offers fan-cooled or air-conditioned rooms with free WiFi in Coron. Guests have access to a terrace and can enjoy massage services. Daily housekeeping is available. A 5-minute walk to Luwalhati Park and Coron Public Market, Luis Bay Travellers Lodge is a 10-minute drive to Coron Municipal Coliseum and a 30-minute drive to Coron Shopping Building. Busuanga Airport is 12.2 km away. Every room comes with a clothes rack. Private bathroom includes a shower. Airport and shuttle services can be arranged at a surcharge. Centrally located in Coron town, One Averee Bay Hotel offers homely and comfortable accommodation with free WiFi access in its public areas. It operates a 24-hour front desk and provides daily housekeeping service. 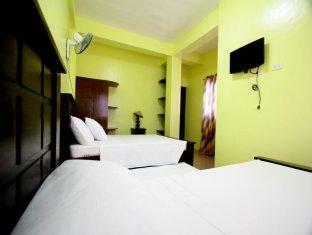 Set next to the Tourism Centre, the hotel is just a 3-minute walk from Lualhati Park and Coron Public Market. St. Agustin Church is about 10 minutes’ walk away. Air-conditioned rooms are furnished with a clothes rack, personal safe, dining table and a flat-screen TV with cable channels. The en suite bathroom includes shower facility and free toiletries. At One Averee Bay Hotel, the friendly staff can assist to arrange airport transfers, massage services and snorkelling trips. Luggage storage and meeting/banquet facilities are also available. The Sydney’s Harbour Restaurant offers an appetising spread of Continental, Italian and local cuisine. A variety of drinks are served at the bar. Located within a 5-minute drive to Coron Market, Sophia’s Garden Resort features an outdoor swimming pool and a lush spacious garden. Free Wi-Fi is available in its public areas and complimentary private parking is provided. Featuring a patio with views of the garden and pool, air-conditioned rooms are equipped with a desk, a wardrobe and a flat-screen cable TV with DVD player. En suite bathrooms come with a hairdryer, shower facilities and free bath amenities. Sophia’s Garden Resort operates a 24-hour front desk that can assist with laundry and ironing services. Guests can enjoy a barbecue session with the provided facilities, or request for massage services. Airport transfer can also be arranged at an extra charge. International and Local cuisines are served at El Comidor Sophia restaurant. A bar is also available and room service is provided. The hotel is only a 6-minute drive to Baywalk, while Busuanga Airport is a 45-minute drive away. The Funny Lion Inn welcomes its guests with an outdoor pool and a hot tub set amongst lush mangroves. Located on the beautiful island of Coron, it also boasts a lounge pool and a rooftop bar offering breathtaking views. Free WiFi access is available in public areas. The accommodation is situated about a 10-minute drive from Mount Tapyas Viewing Deck and about a 15-minute drive to Fernvale Sports Club. Busuanga Airport is 30 minutes away by car. Land transfers from Busuanga Airport and Coron Town Seaport are available with additional charges. Elegantly furnished and stylish, all the rooms come with a minibar, coffee/tea making facilities and a flat-screen TV with cable channels. Bathroom facilities are en suite. Guests can indulge in soothing spa treatments and traditional massages available on-site. This peaceful getaway also offers laundry/ironing services and free bike rentals. A delectable spread of local and international meals can be enjoyed at the in-house restaurant.